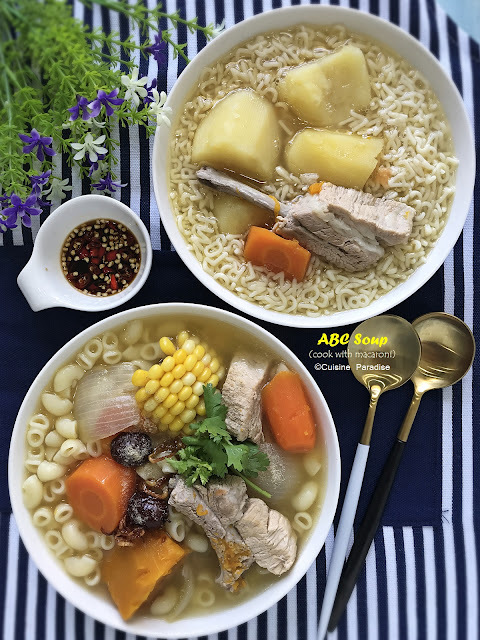 We love porridge cooks in different type of texture such as Teochew style which the grains still remains whole or Cantonese congee where the texture is creamy and silky. The basic ingredients needed are grain of your choice plus water and the amount of water used and cooking time also determine the texture of your porridge. One of the things I dislike about cooking porridge is if you have to keep an eye on the pot so that it won't overflow or get burnt at the bottom. Furthermore to achieve a smooth congee texture it needs about an hour or more simmering on low heat. But now it only takes "20 minutes" cooking with my new cooker. Watch how we prepared this quick and easy Pumpkin Porridge. 1. Blanch spareribs in boiling water for 2 minutes; remove then rinse and set aside. 2. To start with select "SAUTE/SEAR", set cooking time for 3 minutes and press "START". Add in some cooking oil and saute ginger, dried scallop, oyster and spareribs for a minute. 3. Next stir in drained rice and drizzle of cooking wine to enhance the taste. Lastly add water and carrot then close and lock the lid. 4. Select "MANUAL", set cooking time to "20 minutes", pressure to "40kpa" and press "START". 5. After 10 minutes of cooking time, select "Add Ingredient", the current cooking process pause and the cooker will automatically release pressure to "ZERO" then you can unlocked and open the lid to add in potato, pumpkin and scallions. 7. Once the cooking process completes, the pressure will be released automatically again follow by beeps and the "Lid unlocked" indicator blinking on the display screen. Carefully unlocked to open the lid and remember to avoid the hot steam from the cooker. I am sure many of us loves a bowl of cold Green Bean soup especially during hot summer season because it can helps to relieve summer heat in the body as well as detox and quench thirst. But since not everyone is suitable to consume green bean due to certain health condition I will suggest to eat it in moderation like once or twice a month. For those who boiled green bean soup before I think you most properly need around 40 minutes to an hour to get it done. But with this all-in-one cooker it takes about "15 minutes" cooking time with just a touch on the "Soup/Lentils" function button and you see the beans are well cooked and split. 1. To start with: in the inner pot add green bean, gingko nuts, pandan leave and water then close and lock the lid. 2. Select "SOUP/LENTILS", set cooking time to "15 minutes" and press "START". 3. Once the cooking process completes, the pressure will be released automatically again follow by beeps and the "Lid unlocked" indicator blinking on the display screen. Carefully unlocked to open the lid and remember to avoid the hot steam from the cooker. 4. Remove the pandan leave, stir in pearl sago and cane sugar. Close the lid and select "Keep warm" mode for about "5 minutes" to allow the heat to dissolve the cane sugar. If Using Pearl Sago: bring a small pot of water to boil and pour in pearl sago (do not rinse) and simmer on low heat for 5 minutes or so until it turns transparent. Rinse with cold water, drain well and set aside. 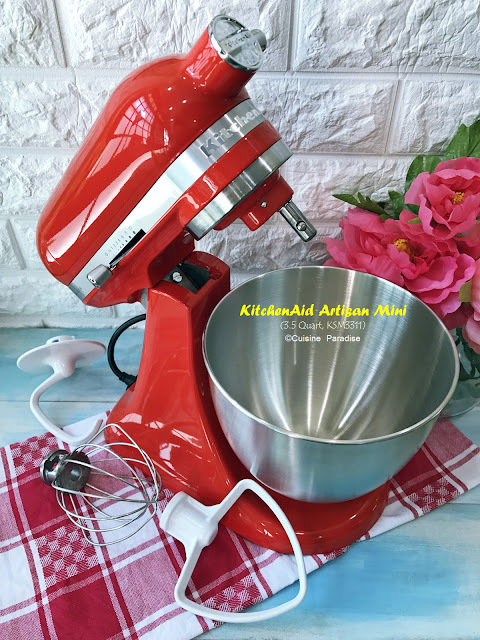 Although we often made steamed cake using either electric steamer or stove method with a pot and steam rack I still can't resist my curiosity to test it with this multi cooker. And guess what, the end result amazed with me soft, fluffy and moist texture of Japanese alike steamed cake in 8 minutes. 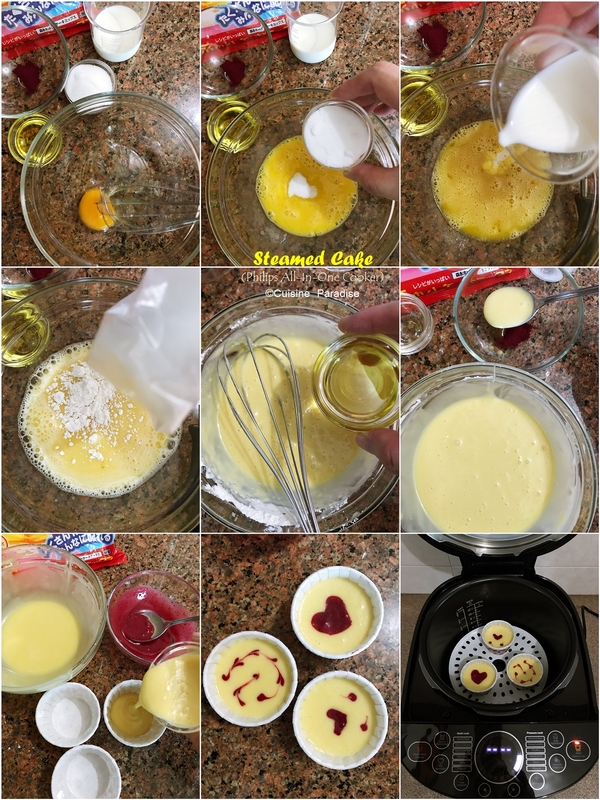 Watch how we prepared this quick and easy Steamed Cake. 1. In a mixing bowl, whisk egg and sugar till combined. Next stir in milk, pancake mix and oil in order till it forms a smooth batter. 2. Remove 2 tablespoons of the batter and mix in either beetroot or cocoa powder. Set aside. 3. Fill each disposal cupcake liner till about 3/4 full, pipe some pattern on top if you wants some design. 4. To start with: in the inner pot add 1 cup of water and insert the steaming rack then arrange the steamed cake liners on it. Close and lock the lid. 5. Select "STEAM" and press "START". Alternatively you can adjust the steaming time from "6 - 12 minutes" depending on the size of the cake. 6. Once the cooking process completes, the pressure will be released automatically again follow by beeps and the "Lid unlocked" indicator blinking on the display screen. Carefully unlocked to open the lid and remember to avoid the hot steam from the cooker. For this collaboration Philips Singapore is sponsoring away ONE SET of this "Philips Deluxe Collection Multicooker" worth S$369 to ONE of our lucky readers. * Giveaway ends on Wednesday, 31st October 2018 (9PM, Singapore time). * Only for readers living in SINGAPORE. * Participants must follow the instructions mentioned above to be eligible for the giveaway. * Winner will be notify and self-collect prize from Philips assigned agency.